For more information or to join the program call 410-605-0505 or email by clicking here. For information on our ongoing classes or to create a class on a topic of your choice, call us at 410-605-0505 or email by clicking here . To be informed of upcoming classes please subscribe to our email list by clicking here . For more information about upcoming lunch n' learns or to create a class at your workplace please call us at 410-605-0505 or email by clicking here . To be informed of upcoming lunch n' learns please subscribe to our email list by clicking here . 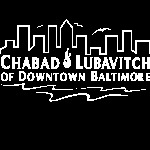 Chabad of Downtown is an accredited affiliate of the Rohr Jewish Learning Institute and is happy to offer some of its highly acclaimed courses. JLI’s holistic approach to Jewish study considers the impact of Jewish values on personal and interpersonal growth. 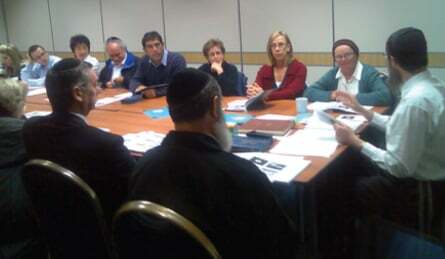 Drawing on research-based instructional design and cutting-edge approaches to adult learning, JLI's innovative presentation of traditional Judaism is designed to be both intellectually rigorous and highly accessible..
Online Jewish learning and resources. Can’t get enough? Check out our online library for thousands of articles and multimedia classes on any and every topic. If it interests you it is there!